Description: Explore the garden’s layout before joining Jan Freeman on a special evening stroll searching for Knoll’s most elusive night-time visitors. Using the latest technology and years of experience, Jan will help identify the bats that you see and hear and attempt to attract them down for a closer look. 8.45pm onwards. £6.50 - For every ticket purchased £2.50 will be donated to the garden’s charity, the Knoll Gardens Foundation and £2.50 to the Dorset Bat Group. 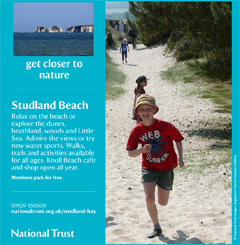 Book online: http://www.knollgardens.co.uk/events/ Please let us know you saw us on What's On in Dorset!